This win is for the listeners of our music. Thank you for the love and support. I was born in 1991. From my earliest memories I remember listening to Moody Blues music. It’s been a big part of my life, and I am saddened when I think that I was born decades too late to enjoy what was the true iteration of such a legendary band. I think I speak for everyone when I say that the ultimate bookend of the Moody Blues as they should be remembered would be at best a reunion concert, but at least a reunion performance at the induction. There are few chances in life like this, and for me, this represents a last-ditch appeal to see something I never thought these eyes would see. Mike, please consider it. With Love, Jeff. When I listen to ‘In Search Of ‘ or ‘To Our Children’s ‘( the band’s crowning glory, IMO ) I hear so much of you. Don’t waste this gift of induction because of past squabblings; life is too short. You were a team. Teams win, and teams lose, but teams make it all possible. The fans have wanted this recognition since 1989. This moment isn’t about Justin, John, Graeme or Ray; it’s about the art, the music, the joy, and the close ties people have with your melodies. The mellotron is calling, and I know the other four want to hear it… The fans have never forgotten it.. btw…Seventh Sojourn was amazing too!!! Mike, please go to the induction. Do it for your fans. Do it to honor Ray. I met Mike Pinder at a Border’s Book store in the mid-90’s sometime after Among the Stars was released while promoting the Children’s books. Such a very nice guy and gentleman and certainly a very big thrill for me. Never stopped hoping for more new material from Mike or from the Moodies with Mike on-board. Nothing could recreate that sound. Every time I bought a new Moodies album, while I knew I would love all the songs, invariably I searched for & played Mike’s compositions first. Would love to see you with the band once again but would be beyond thrilled to hear some new collaborations – after all there is so much to write about in today’s world – so many Lost in a Lost World. Will be watching and waiting – congratulations to you and the other members of the band! I’d love to see you attend the Hall of Fame induction you and the group so richly deserve. Saddened to hear of Ray’s passing. I attended the concert in Irving this week and hope there could be a possibility of seeing you, Justin, John, and Graeme reunite for a performance. I started listening to the Moody Blues in 1970, attended my first concert in 1972 and as life evolved, continued to listen to the music and attend concerts. I had the fortune to meet you at a book signing in Dallas many years ago. 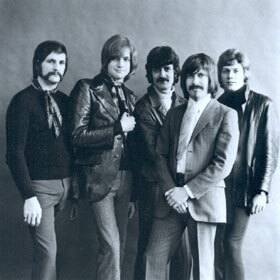 The Moody Blues have been such an important part of my life. Thank you for the beautiful and inspiring artistry of your work. I was so hoping for an original Moodies reunion at the RRHOF induction. So sad that Ray passed but I hope to see Mike there! I am shocked. First of all, Congratulations to you Mike Pinder on being inducted into the Rock and Roll Hall of Fame with your band the Moody Blues. Your music has affected many lives, and for much of them. I thought it was all about LOVE. I believe. I could not attend the RRHoF functions due to my work schedule. So I had to be content with information via the Internet as I could glean for a vicarious participation. I was thrilled on Friday to see that you were there, and to see the 4 of you all together up on that stage when the plaques were being introduced. Finally, on the threshold of a dream I have had for 40 years, seeing you together once again. We are all acutely aware of Ray’s absence and very sad for his passing. Ironically at such an auspicious moment. I have missed him since his retirement from the band in 2002. So yesterday I was googling all over the Internet for information on the Induction Ceremony, not being content to wait until HBO’s edited version May 5. I came upon an interview that John Lodge gave with WRLO Classic Rock, in which,”John reveals that at the ceremony, he’ll be accepting the honor on behalf of his late band mate and childhood friend, Ray Thomas, who died in January, a few weeks after the honor was announced. Lodge reveals that Thomas, who knew he’d be unable to attend the ceremony, wrote a note before he passed that John will be reading at the event. Then I found the Rolling Stone article that contains a video of the Moody Blues’ acceptance speeches from the Ceremony, including a written transcript of each one. I was delighted to find it, although still puzzled as to why Denny Laine was included. But imagine my utter shock and dismay when I did not see a transcript of your speech. Then I watched the video. I watched in shock and disbelief. You were not allowed your turn at the microphone. You never got a chance to speak! Justin, Graeme, and John (physically even!) blocked your attempts. You were polite and restrained, watching and waiting for your turn, which they utterly denied you. At the end of the speeches, when Justin had made his comments, and he and John had made sure that the microphone was off, it was snatched away, and the last glimpse that I had, at the end of the Rolling Stone video, was of the spotlight on you standing there alone, incredulous, where the microphone had been, with never your chance to say a Word. It is utterly appalling, and the fans deserve an explanation of this cruel and totally disrespectful behavior towards you. I am so sorry. I see that they have lost no time in booking a glitzy run of Days of Future Passed concerts in Las Vegas this year and will capitalize on a beloved classic that you, with the band, did so much to bring into being, and that YOU literally orchestrated with the Mellotron. An explanation is certainly in order. I hope this post does not make it more painful but lets you know there are many out here who are perplexed and concerned. Also, apparently, so much for any mention by the rest of them to the world on their feelings about the loss of Ray or John reading the note that that beloved troubadour scribed for us. Where is the media’s observations of this, their outrage, their questions? Again, I am sorry. I hope that you are all right, and know how many millions of people love you, your inspiration in our lives, and the life love instructions you have shared on how to play this simple game. Thank you. Mike why didn’t you speak at the Induction ceremonies? Did they not want you to say anything or was that your choice? If so why? We so wanted to hear from you!! I second hopefultraveller’s post, right on. I attended the ceremony and was fortunate to see the Moodies at the museum on Friday walking towards the ribbon cutting ceremony. Mike was walking next to John, they seemed to be in good spirits. I believe I’ll speak on behalf of all fans in saying we all had an expectation for Mike to make a speech and/or perform on at least one song. It’s puzzling why neither happened. There must be valid reasons, it would be good to know if it was Mike’s decision, or if the decision was made by someone else. And if so, was this decision made to protect Mike or was it against his will? The truth is out there, hope we can know the real reason some day. Much love Mike, and thank you for your GREAT contribution to music and to all our lives. The Moodies are and will always be my favourite band, to a great extent thanks to your creativity and awesomeness as a musician. How lucky you were to be there rafmin73. I watched the body language on the video of the ceremony, and Justin seemed somewhat tense – his hands were constantly moving during John’s speech. Mike also was a little closed off with armed folded in front of him, unlike earlier. Near the end of his speech Justin positioned Mike to come forward, however John literally body slammed Mike back and said something, and then directed Justin to come forward. At the end Mike was left their standing on his own, obviously wanting to say something, but everyone had gone off stage by then. Such a sad treatment of the person who was central to the creation the unique sound of the Moodies that we all know and love.